If you're looking for an easy-to-install alternative to laminate flooring or luxury vinyl tiles, TrafficMaster Allure planks or tiles may be for you. Allure planks and tiles don't snap together; instead, each unit has an adhesive strip that securely holds its neighbor -- so installing Allure flooring couldn't be easier. Cleanliness and climate are important factors during installation, though, because the adhesive won't stick if it gets wet or dirty, or if the temperature is too low. Allure flooring is a water-resistant vinyl covering perfect for utility spaces. Before installing any type of flooring, you need an **accurate measurement** of the space so you can compute the square footage. In a square or rectangular room, you simply need to measure the lengths of two perpendicular walls and multiply those measurements together. If the room has an irregular shape, section it into regular shapes, such as triangle or rectangles; measure the area of each shape and add those measurements together. Add 10 percent to the square footage you compute to account for inevitable mistakes and other waste. If the flooring is set diagonally to the walls, add 25 percent to your measured total. **Look for the square footage on the product you want to buy, and divide it into this number to calculate the number of boxes you need**. 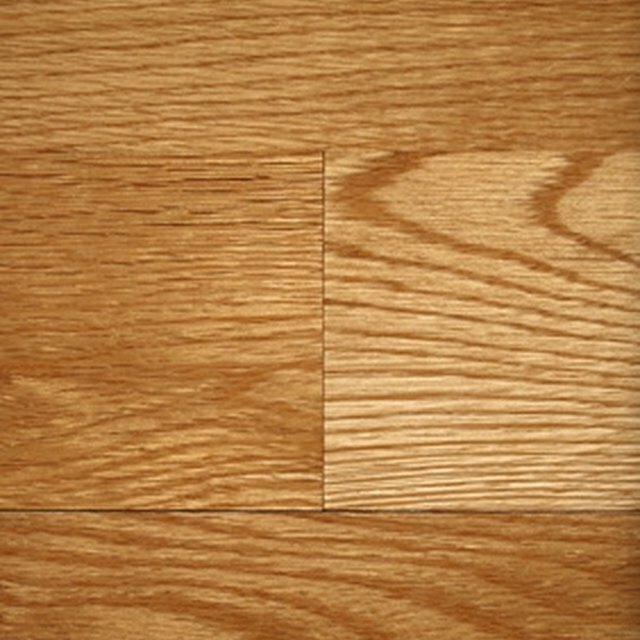 You can install Allure flooring on a plywood or OSB subfloor as well as over existing tile, linoleum and terrazzo. You can also install it on concrete, but the concrete should be sealed with a waterproof membrane first. Allure is only for interior floors in spaces where the temperature stays between **55 and 85 degrees Fahrenheit**. It can be damaged by longterm exposure to direct sunlight. **Level the subfloor** to a tolerance of 1/4 inch per 10 feet, filling depressions with floor leveling compound and sanding humps with a belt sander. It's ok if the floor slopes, such as in a utility room or basement with a floor drain, but the slope must not exceed 1 inch in 6 feet. **Vacuum the floor prior to installation, and go over it with a damp tack cloth** to remove any dirt that could interfere with glue adhesion. Like tongue-and-groove flooring, each Allure plank or tile is directional; it has a glue strip on only one end and one long side. Start installing the planks against the longest wall, maintaining a 1/8-inch gap between the flooring and wall. **Dry-fit one or two courses**, cutting the planks at the ends to the proper lengths with a straightedge and a utility knife. When laying the planks, **maintain a minimum stagger of 6 inches** between the ends of adjacent planks; that is, the end-seams in adjacent rows should be at least 6 inches apart. To cut a plank, score it with the knife along the straightedge and snap it in two. Use tin snips or shears to cut planks or tiles to fit around irregular objects. Joining Allure planks or tiles is even easier than snapping together laminate planks, but you must do it correctly or the floor will show gaps. After removing the protective covering from the glue strip of a plank on the floor, hold the one you are joining parallel to it and angle it 45 degrees with respect to the floor. Move one corner into place and then straighten the plank until it is parallel again. Push the edge of the top plank past the edge of the bottom one; flatten the top plank and press down on the strip. Make sure the seams between planks are tight. If necessary, you can carefully pull up the top piece to make adjustments. Do this immediately because the adhesive begins to set up quickly and is fully set in 10 to 15 minutes. Once the seam is complete and tight, **roll over it firmly with a hand roller to bond the adhesive** Proceed with the remaining pieces, rolling the seams of each plank as you go. When the installation is complete, **roll the entire floor in two directions with a 75- or 100-pound flooring roller,** available at rental centers.